Crowned Getintothis gig of the year 2014, Getintothis’ Vicky Pea wonders if King Khan can retain his title, this time with The BBQ Show. 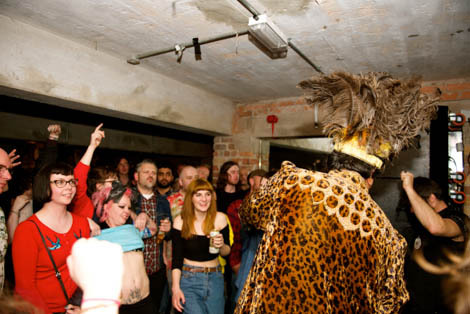 Doo-wop renegade angels King Khan and The BBQ Show have announced a show in the intimate, and legendary, confines of Studio 2. Having been crowned the best gig of 2014 by Getintothis with a simply unforgettable night at the Korova, tongues will be wagging in anticipation for what the King could possibly come up with this time out accompanied by The BBQ Show, expectations will be sky high for round two with this charismatic punk superstar. Last month the duo released their first full album since 2009 in Bad News Boys, material which we can be sure to expect to feature heavily in the setlist for September’s show. So get listening, beginning with single Alone Again which is featured below. 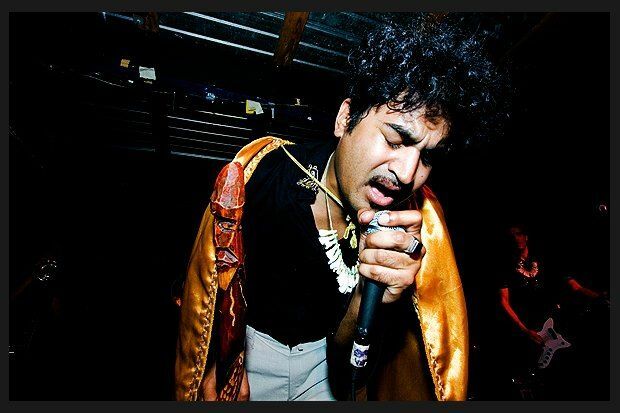 King Khan, also well known for his side project King Khan and the Shrine, has become synonymous with his chaotic, almost violent live performances which often feature absurdities such as food fights and the smashing of televisions, we hope Studio 2 know what they’ve signed up for. 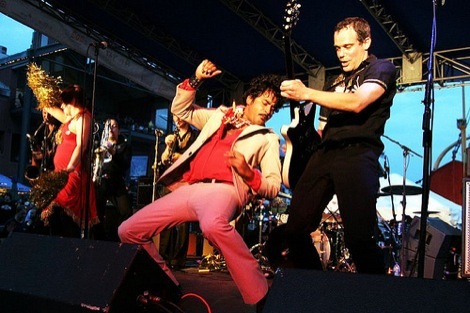 King Khan and The BBQ Show play Studio 2 on September 12, tickets can be purchased here.